The week started off with a bit of magic, but left me all black and blue. See what I did there? Anyway, there was also a smidgen of news too, with an eagle eyed fan spotting that Magi: Season 1 Part 1 was listed for Blu-ray and DVD release on the 24th of February 2014. A quickly launched fan question to Manga Entertainment got the confirmation that they are indeed distributing the title in the UK for the European rights holder Kazé Entertainment. Note that Europe and the UK will be getting the title on Blu-ray before a Blu-ray release has even been announced by the US licensor, Aniplex US. The second licence announcement came from Anime Limited who declared that they have the theatrical and home video rights to Patema Inverted. This fan favourite film made its UK debut at Scotland Loves Anime, and the news was leaked then that it had been licensed, although no name was given at that time. My first review of the week saw the long overdue return of Fairy Tail to the UK. This long-running comedy action show is shonen of the One Piece variety, but with its balanced cast and varied storylines, it plays to a broader audience. Lucy, Natsu, Erza, Gray and Happy return for more magical adventures in the Kingdom of Fiore, but this time the Dark Magic Guilds are planning something ominous indeed. The problem with these long running shows is that an extended hiatus can cause a break with the characters and continuity, and fourteen months between instalments is a long hiatus indeed. But that may be mitigated with the show making its UK Blu-ray debut with Fairy Tail Collection 5. Another fan favourite series and another long hiatus! It’s over a year past its initial scheduled release, most of that down to the lateness of the dub, but Black Lagoon: Roberta’s Blood Trail OVA finally makes it to the UK. Black Lagoon is that absolutely nutty action adventure series about mercenaries in the South China Seas starring the most memorable gunslinger of them all. Roberta was the Terminator maid who gave Revy a run for her money in season 1. She’s back in the OVA series, looking for vengeance, and this time her target is the United States of America itself. My final review of the week is another hotly awaited title, the second home video release from All the Anime. They bring Satoshi Kon’s debut feature, Perfect Blue to the UK on Blu-ray, and even after all these years, this psychological thriller has lost none of its power. Mima is a pop star who wants to break into acting, but her first role demands that she shed her wholesome pop starlet image completely. It’s a change that some among her fans are unwilling to countenance, and they make their displeasure felt in chilling ways. 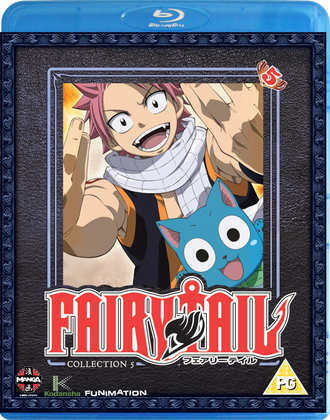 Fairy Tail: Part 5 comes out today on Blu-ray and DVD courtesy of Manga Entertainment. 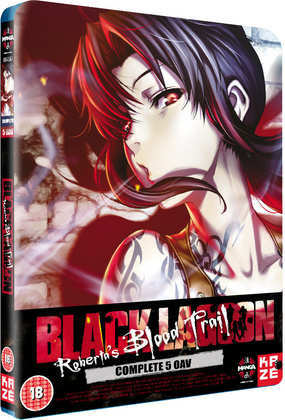 Manga also release Black Lagoon: Roberta's Blood Trail OVA on DVD and Blu-ray. 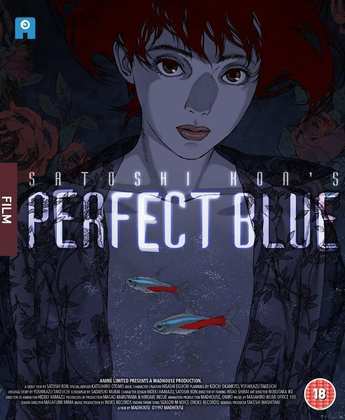 All the Anime released Perfect Blue on Blu-ray last Wednesday, while their DVD release of the film came out last month.